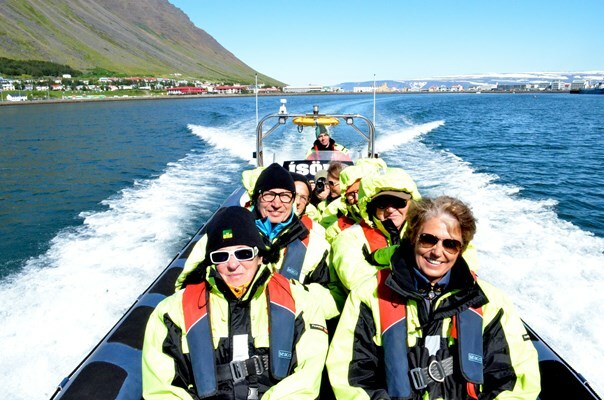 2 hours sightseeing safari tour from Ísafjörður town which offers a magnificent view over the surrounding landscape from the sea side. 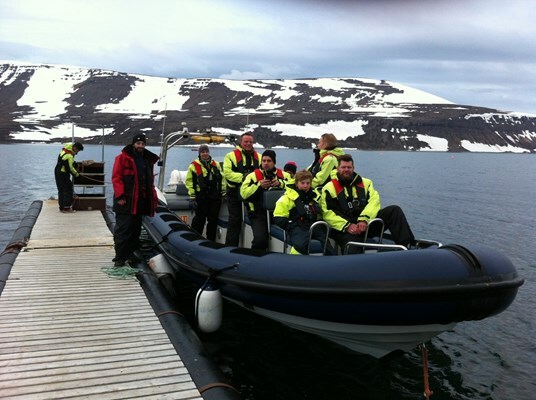 We start with a safety instruction and the distribution of warm overalls and life jackets which you will have to wear onboard. 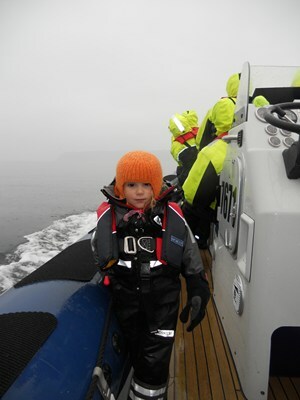 It is important to wear warm footwear and even mittens, it gets cold once out on the sea. 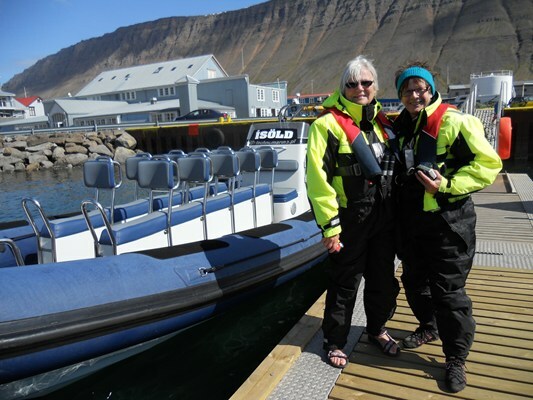 This tour will take you into Ísafjarðardjúp, the stunning fjord region just off Ísafjörður. 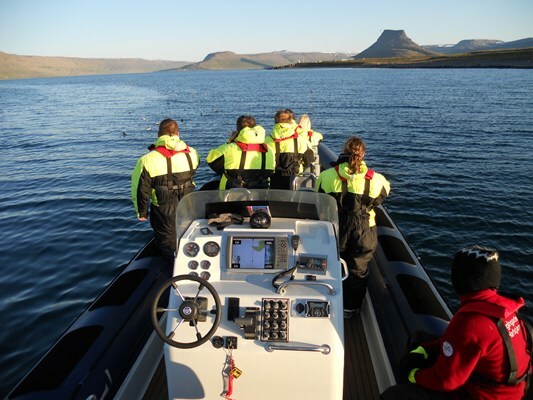 We pass the beautiful bird island Vigur or Snæfjallaströnd (Snow-Mountain-Coast) chances are high that you’ll see different kinds of birds such as puffins flying around and seals and probably even whales swimming across the sailing route. Time for photo shooting is included. 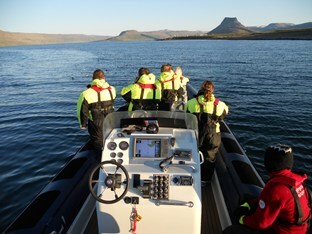 Depending on weather conditions the route differs and will in each case be an unique adventure.